Our mission is to be a knowledge-focused, service-intensive, risk management-oriented insurance brokerage that puts our clients’ interests before our own. 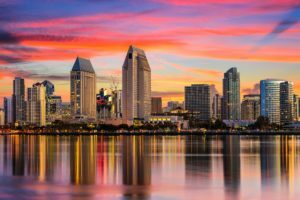 Our vision is to be the leading independent insurance agency in San Diego County as measured by our clients, employees and the companies with whom we do business. We will achieve this by adhering to our Mission Statement, living our Unifying Principles, and abiding by our Corporate Philosophies. We will provide specific risk management services that are not customarily offered by our competitors. We will establish relationships with insurance companies whose philosophies and business appetites mirror our own. We will hire above-average people who are service-oriented, education-minded, and who will make a commitment to company objectives. We will be an effective corporate citizen, contributing our time and money to local non-profit and civic organizations we believe in. Exceptional Customer Service – We constantly strive to deliver a level of service that exceeds the expectations of our clients. Professional Excellence – We constantly strive to provide the highest level of technical expertise possible. Outstanding Quality – Our goal is to do the job right the first time, every time: no exceptions, no excuses. Effective Communication – We strive to communicate openly and directly, taking into consideration the feelings of others, including the need to be listened to and understood. Integrity and Ethics – We tolerate nothing less than absolute adherence to the highest standards of integrity and ethics. Teamwork – We recognize and appreciate the fact that everyone contributes to the common cause, and we understand that the only way we will achieve our individual and mutual goals is if we work together. Continuous Improvement – We are dedicated to being the best we can be. As such, we always continue to seek ways to improve the services we deliver, our productivity, and our technical expertise.